LASIK eye surgery is currently the most popular refractive surgery procedure performed worldwide for correction of shortsightedness, farsightedness and astigmatism. However, you should know that alternate procedures are available for correction of refractive errors. If you are not a LASIK candidate, these procedures become valuable options for you. Radial Keratotomy was the first commonly practiced and recognized refractive surgery procedure. In this procedure, a number of radial incisions are made in the periphery of surface of the cornea. The rapid healing process flattened the cornea and reduced shortsightedness. However, since the introduction of excimer laser procedures, RK became less popular. More details about Radial Keratotomy Surgery. 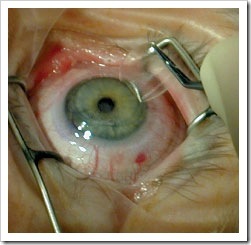 Automated lamellar keratoplasty involved removing layers of the cornea, replacing the external layer after an underlying layer had been removed. 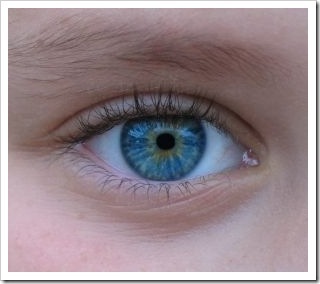 This procedure was used to correct myopia and rarely used after laser surgery was introduced. Photorefractive keratectomy involve removing the outer layer (epithelium) of the cornea, then the excimer laser is used to reshape the underneath layer (stroma). During the healing process, the epithelium returns to become the outer layer and myopia is reduced. Laser Assisted Sub-Epithelium Keratomileusis is a procedure that also changes the shape of the cornea using an excimer laser to remove the tissue from the corneal stroma, under the corneal epithelium. Epi-LASIK is a new method similar to LASEK performed using an epithelial keratome, but with better results than for some people. Limbal relaxing incisions is used to correct small degrees of astigmatism by making incisions near the outer border of the iris. Astigmatic keratotomy is an extension of the relaxing incision procedure and is similar to radial keratotomy but the incisions are made in a way to make the cornea more spherical. Mild to moderate degrees of astigmatism can be corrected by this procedure. Laser thermal keratoplasty is a refractive surgery procedure that utilize Holmium laser to flatten the central cornea for correction of mild degrees of hyperopia. This technique can also be used to improve presbyopia; however, the laser is expensive and now is rarely used. Conductive keratoplasty is a non-laser procedure that uses radiofrequency (RF) energy to produce shrinking of corneal tissues by heat, which changes the corneal shape. This procedure can be used for the correction of a small amounts of myopia and hyperopia, or to bring on myopia for the correction of presbyopia. Intrastromal corneal ring segments are very small semicircular rings made of plastic (PMMA) and placed within the cornea to corrected small degrees of myopia not combined with astigmatism. Phakic IOLs may be used to correct high nearsightedness by implanting a small lens with the desired optical correction directly inside the eye. Clear lens extraction may be an option when corneal refractive surgery exist is not suitable. The surgery is essentially the same as for cataract removal, though the accuracy of the biometry and lens power calculation is most critical to produce the ideal refractive result.